List of Engineering Colleges In Kaushambi: Uttar Pradesh State Entrance Examination is successfully conducted by Dr. A.P.J. Abdul Kalam Technical University Uttar Pradesh, Lucknow at the various examination centers for different courses. Now the University is all set to release the UPTU Result and Score Card. The UPTU Result 2019 will be published in the last week of May month on the official website of UPSEE. Successful candidates will be able to download their scorecard and then take part in the online counseling procedure. UPSEE will announce the counseling schedule soon after the result declaration. 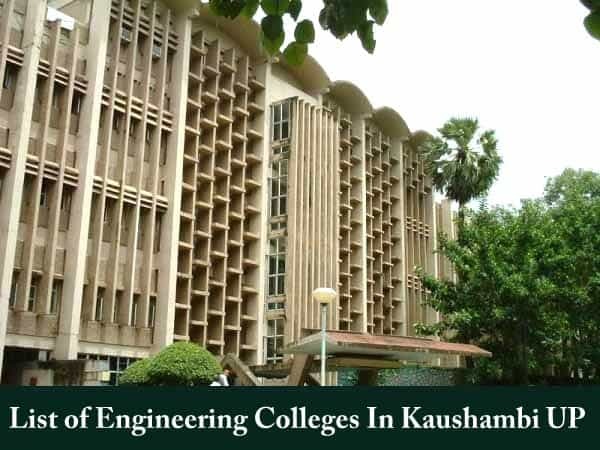 In this article, we are providing a list of Engineering Colleges In Kaushambi city, Uttar Pradesh. There are only a few colleges in this city. Eligible candidates can take admission in these colleges through UPTU Counselling.